I work as a service design lead in Berlin. One of my regular activities is to do qualitative user research with customers of all sorts. I love this part of my job, because it produces so many unexpected insights and is a great way to connect with people in a short time. As part of my job, I often train others in user research as well. For a recent workshop I developed a quick method to teach the beauty of qualitative interviews. This article aims to describe the method and will enable you to apply it yourself. Those of you familiar with Design Thinking might have heard of the “wallet exercise”. It is a beautiful short exercise to teach people the difference between ideas based on what you think is good and what other people need. 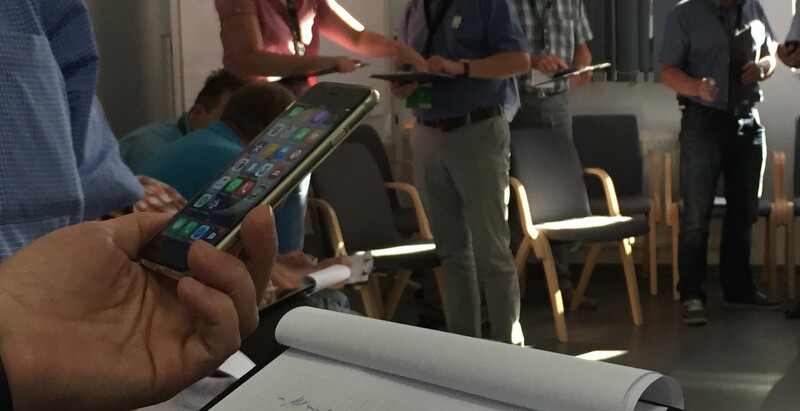 When I was asked to teach user research at an internal leadership training of a German corporate, I first wanted to do the wallet exercise. But after a brief consideration, I realised that many people at this leadership training might not have their wallet with them (because the wallet would most likely be in the hotel room). So the question was: Which very personal object would they all carry with them, that can be used for user research? In time of ubiquitous mobile phones, the answer wasn’t very hard — their phones. What is the start screen interview? Given that these assumption are at least partially correct, this is an awesome start for user research. How to do the start screen interview? The first interview part focuses on the photo on the lock screen. What is the story behind the photo? When was it taken? Why did you choose it as your lock screen? For how long have you been using it as a lock screen? In combination with “the 5 whys” the first initial photo turns out to be an invaluable source of personal clues. Which apps do you have on this screen and why? You will be surprised how much you can learn about a person just by focusing on which apps they see as a priority. There are stories why work-related apps are here or not. How many sports apps appear, which social networks do they prefer or how many messenger service are in use. Conversations go from data privacy, over daily workouts all the way to whether or not someone expects a child very soon. Why do you structure your apps the way you do? This part is a bit less obvious and does not always bring across awesome insights. But every once in a while, here you will find the typical edge cases. 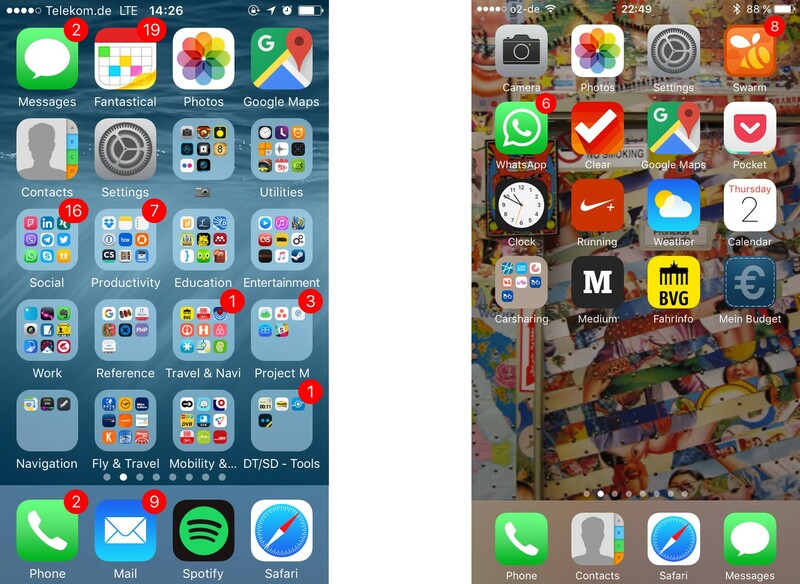 I’ve seen phones in which every screen was organised by app color (seriously!?! ), literally every icon was a folder with numerous apps inside of each folder or just total chaos. Two very different screens. Probably two very different personalities, too. I have made very good experiences with this interview technique when I wanted to show that even a short qualitative interview can produce striking insights. Often, skeptics of user research are able to see how much one can learn in a short amount of time, so this might even be useful for your next sales pitch for user research. The method needs close to no additional equipment and is great for beginners because the object (the phone) provides the anchor points and structure (first log screen, then start screen) by itself. Please feel free to use the start screen interview as you like and share your experiences with me. I would be curious to hear which experiences you made with it and how you adapted it to your needs. If you want to know how to run a workshop based on the method, check out my other article ‘Experiencing the difference of qualitative and quantitative research’ as well.